With St. Patrick’s Day right around the corner, we are busy planning fun yummy desserts and treats for the occasion. Of course, we want to keep them easy but we also demand them to be extra delicious. 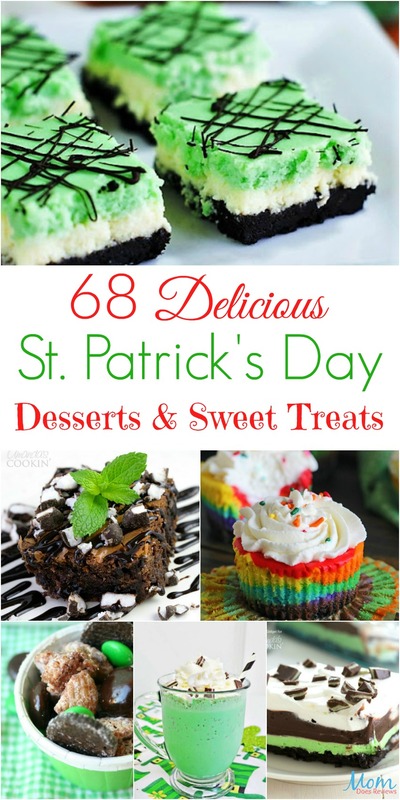 Well, we have found 68 Delicious St. Patrick’s Day Desserts and Sweet Treats that are sure to have you wiping up drool by the time you finish browsing! Whether you are enjoying a family meal at home or planning a fun St. Paddy’s Day party, you are sure to find several that will tantalize your taste buds and have your family and/or guest asking for more! Still want to see more? We have another short collection of St. Patrick’s Day Desserts that may hold what you are searching for! Oh my goodness! 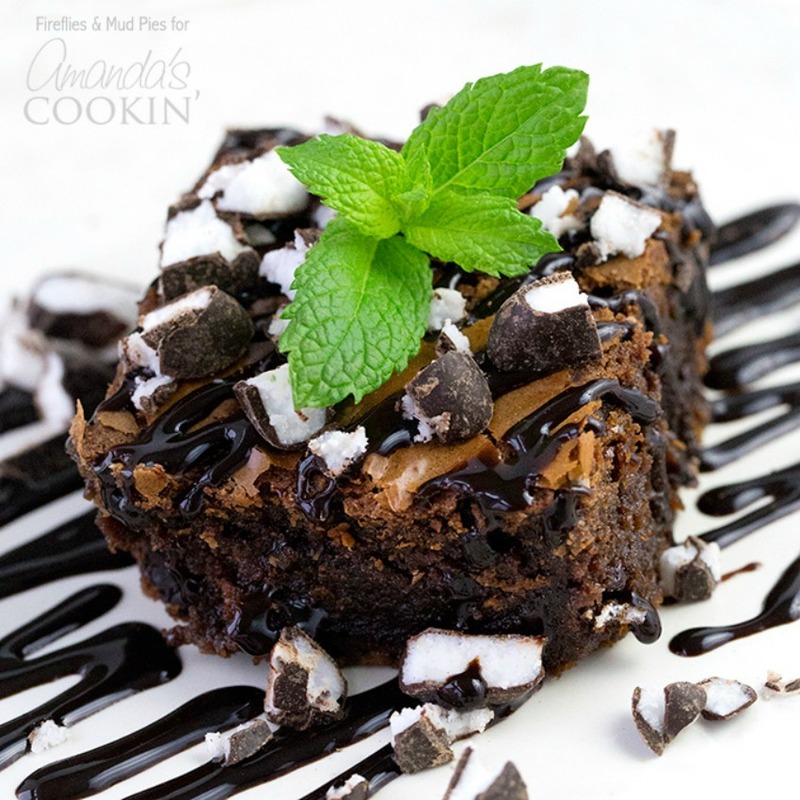 My mouth is watering just looking at these Peppermint Patty Brownies from Amanda’s Cookin‘! If you are craving a rich chocolate treat, then let yourself indulgence in this easy dessert! With boxed brownie mix as a base, this recipe is simple to make and a real crowd pleaser. Bark is always a fun and yummy treat! 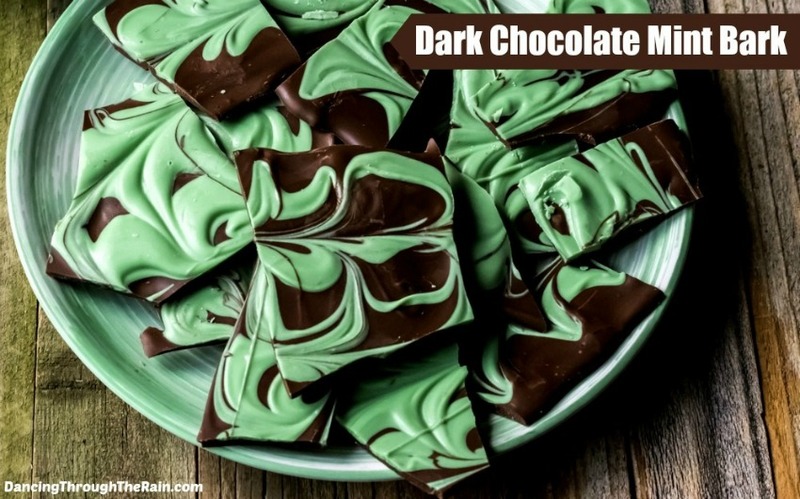 If you are looking for the perfect St. Patrick’s Day dessert, this Dark Chocolate Mint Bark from Dancing Through the Rain is the one for you! It only takes a few minutes to make and your family and/or guest will delight in the deliciousness! Cheesecake anyone?! This super easy Mint Chocolate Cheesecake Dip from Live, Love, Texas only includes 6 basic ingredients that you likely already have in your kitchen! Whip it up and then serve with your favorite cookies for an easy dessert that is sure to please! 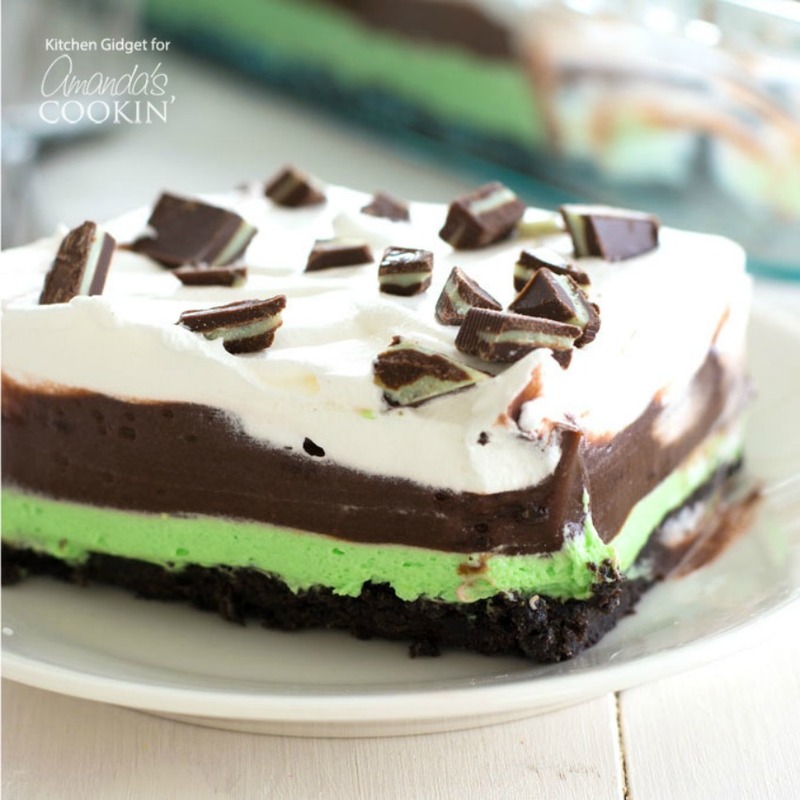 This Mint Chocolate Lasagna from Amanda’s Cookin’ is a no-bake, one-pan dessert with layers of mint cream cheese, chocolate pudding and Cool Whip on an Oreo crust. Oh, my! I am drooling already! 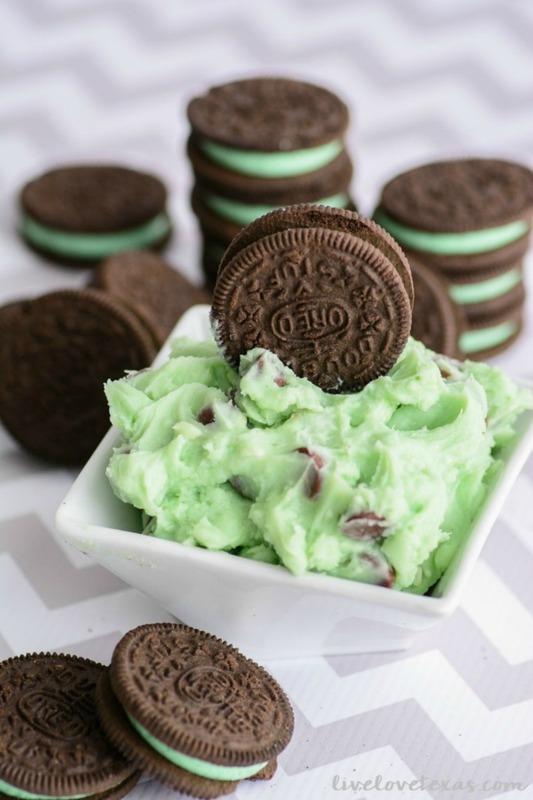 This cool, minty dessert is the perfect finish to any meal! St. Patrick’s Day Desserts & Sweet Treats!